The idea behind this is brilliant and the execution is perfect. I don't really have just a ton to say about it other than that it's hilarious and made me laugh out loud on multiple occasions. It reads super fast, so you can either devour it in a night like I did or you can read a few text conversations at a time. If you're not already into books, you may not get most of the jokes as they all come from well-known works of literature. 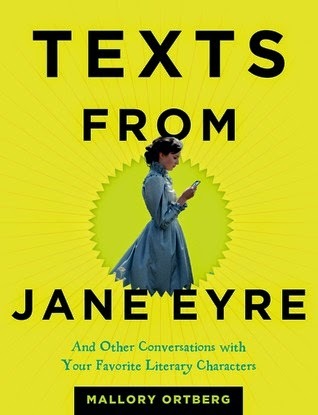 I'd only hesitate to recommend this to those who are completely unfamiliar with all works of classic literature. If you've read even one classic, I think you'll find this delightfully funny.